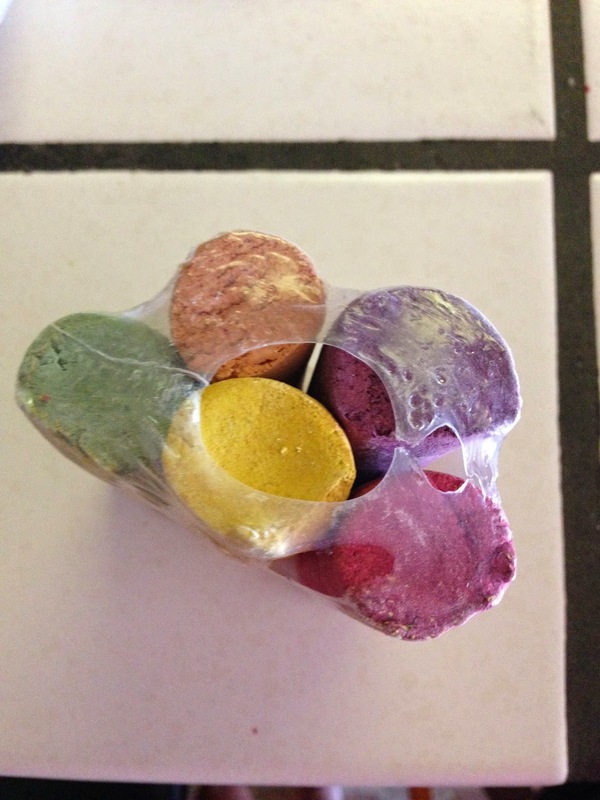 Wee Can Too chalk comes in 5 different colors. Pink, green, yellow, orange and purple. 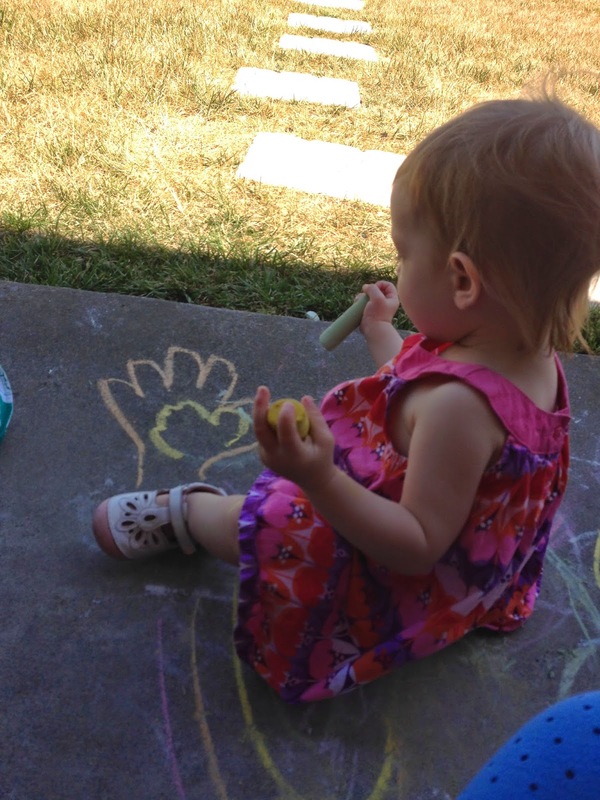 Bunny loves playing with chalk, but I do not love the chemicals found in chalk. I was going to make my own chalk, but almost all of the Do It Yourself chalk recipes called for plaster of paris. Bunny likes to taste chalk, and I did not want her tasting plaster of paris! 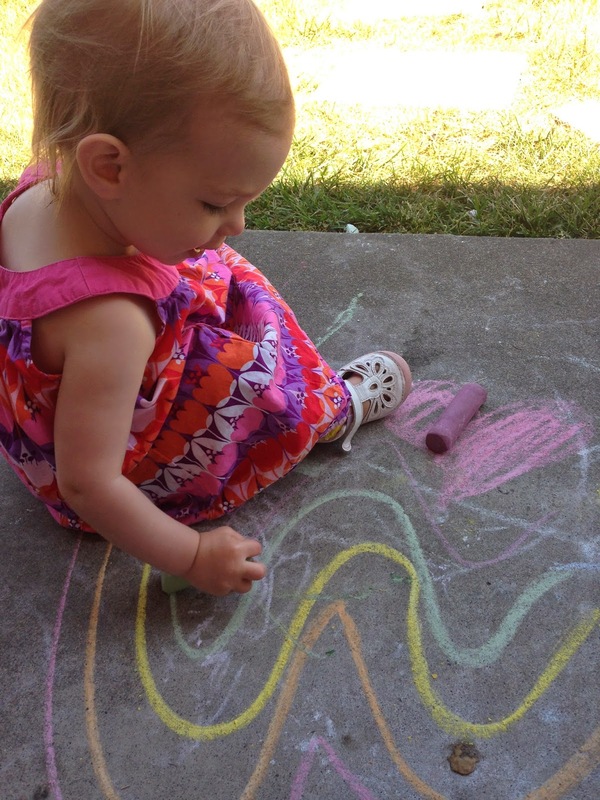 The only chalk Bunny uses is Wee Can Too’s veggie sidewalk chalk. 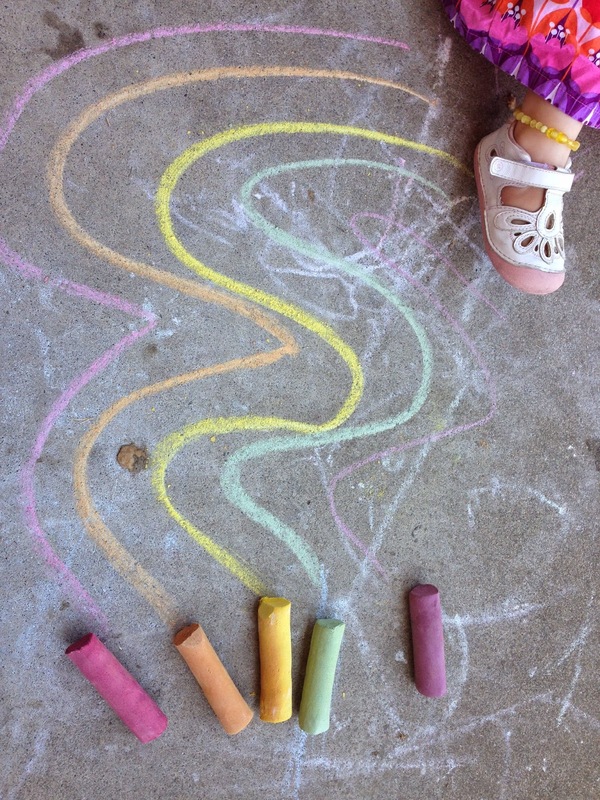 The colors of the veggie sidewalk chalk are bright and fun. There is not a huge variety of color, but hopefully Wee Can Too will be able to expand their color line soon! A child only needs a few colors to be creative! 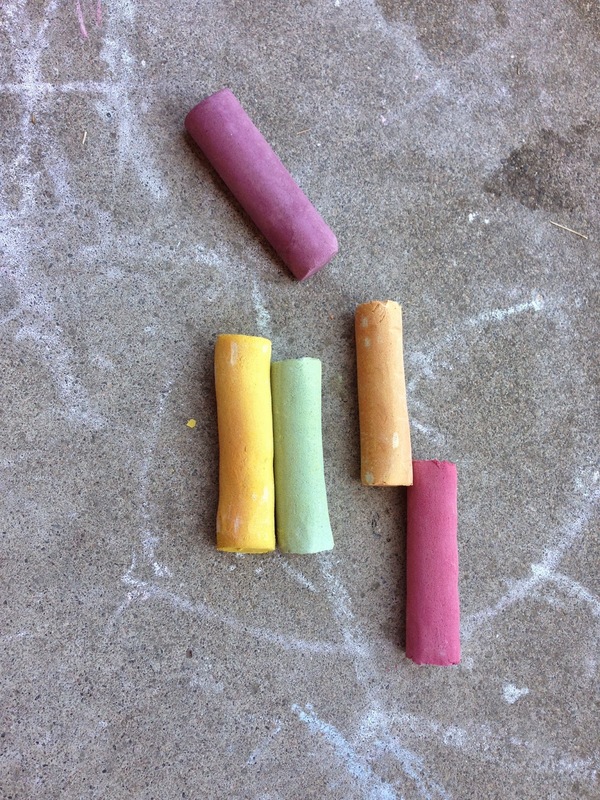 Bunny has played with chalk with two and even three other children and there has always been enough veggie chalk to go around. I really like the peace of mind veggie chalk gives me. I know if/when Bunny decides to put chalk in her mouth, that it is non toxic and will not harm her. I can let her have fun and explore without putting toxic chemicals in her hands. 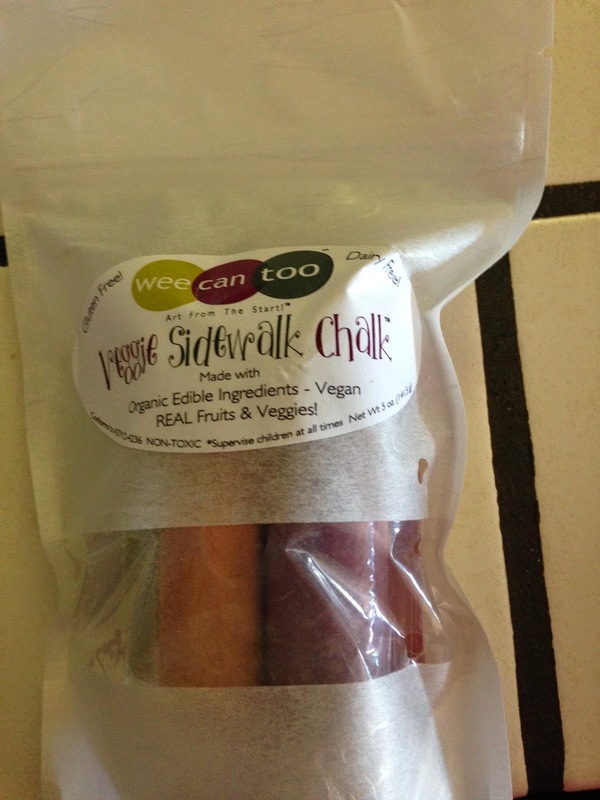 You can buy Wee Can Too Veggie sidewalk chalk here. Another thing I really like about Wee Can Too veggie chalk is, it comes in eco friendly packaging! YES!